IVINS — Since 2010, the Docutah International Documentary Film Festival has been bringing quality documentary films to Southern Utah as part of its week-long festival located on the Dixie State University campus. Submissions have come from all over the world and have shed light on topics ranging from quirky and lighthearted to dramatic and controversial. In his book Mortenson details a failed 1993 expedition to summit K2, the world’s second highest mountain, and how that failure ultimately led him to Korphe, a small village in Pakistan where the villagers cared for a weakened Mortenson. According to his book, as a way to repay the village for their kindness, Mortenson promised to build a school in Korphe. 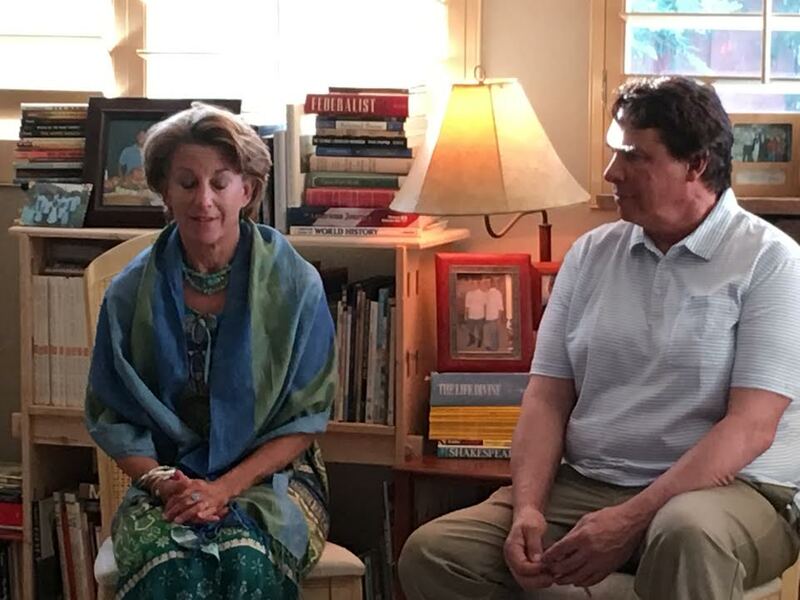 This promise led Mortenson to Jean Hoerni, a computer pioneer who invited Mortenson to serve as the first executive director of Central Asia Institute, a nonprofit dedicated to improving education and literacy – especially for girls – in difficult to reach parts of Pakistan and Afghanistan. Both the nonprofit and the book had rapid early success – “Three Cups of Tea” spent 220 weeks on the New York Times bestseller list for nonfiction. But in 2011 everything came unraveled. In April 2011, the CBS program “60 Minutes” aired an investigative piece that alleged Mortenson was misusing funds from the Central Asia Institute nonprofit and that portions of his book and its sequel were fabricated. Notable interviews included Daniel Borochoff, president of the American Institute of Philanthropy, and bestselling author and mountaineer Jon Krakauer. Following the “60 Minutes” broadcast, Mortenson and the nonprofit had an inquiry brought against them by the then-Attorney General of Montana, where Mortenson lives, to investigate finances. Though no criminality was found, Mortenson was ordered to repay $1 million to the Central Asia Institute and to step down from any leadership position within the nonprofit. Among allegations of misuse and mismanagement of the nonprofit’s funds, it was also alleged that many of the schools the organization claimed to have built in Afghanistan and Pakistan were, in actuality, never built, not being used as a school and/or were not being supported by Central Asia Institute. The allegations and subsequent investigations were detrimental to the nonprofit. In a private gathering held in Ivins Thursday evening, Mortenson said donations to the organization dropped by 80 percent at that time. Mortenson himself was disgraced. But noted journalist and author Jennifer Jordan, author of “Savage Summit: The True Stories of the First Five Women Who Climbed K2, the World’s Most Feared Mountain” and “Last Man on the Mountain: The Death of an American Adventurer on K2,” tells a very different story from “60 Minutes” and Krakauer. Jordan had trekked through Pakistan on two separate expeditions to K2, she said, and in every village she came to, there was one similar building that stood apart from the rest of the structures in the villages. Jordan soon learned those buildings were Central Asia Institute schools. “I was very impressed by that,” Jordan said. Jordan met Mortenson while in Pakistan, she said, and he helped her team with their expeditions to the mountain. Jordan also interviewed Mortenson after the events of Sept. 11, 2001, because he was one of the most knowledgeable Americans about the Taliban in Pakistan at the time, she said. After years of following Mortenson’s success, Jordan said she saw the “60 Minutes” broadcast allege that he was a liar and a fraud and call the schools that she had personally seen “ghost schools,” and it did not match what she had learned of the man. Of all the things that I’ve learned about this man, fraud is not one of them, liar is not one of them. So what’s going on here with this report? So I decided to do my own investigation. The results of Jordan’s investigation are detailed in the documentary film “3,000 Cups of Tea,” which presents a flawed man whose vision and passion for educating girls is his primary motivator. It is a picture of the Mortenson that she knows. Amidst all the controversy and allegations against him, Mortenson said the worse thing it did was take the spotlight off the children, mostly girls, who need education. In the film Jordan also takes a harsh look at the Fourth Estate and makes some strong counter allegations against the media and “60 Minutes” for their report on Mortenson. “What people should know about this film is to question the media,” Jordan said. Jordan said the “60 Minutes” report was one-sided and that the media was not doing its job of fair and balanced reporting. She does admit Mortenson did make mistakes, especially regarding the management of Central Asia Institutes finances – mistakes Mortenson himself has apologized and made restitution for. However, as far as allegations of fraud and malfeasance, Jordan said she has not found them to be true. “3,000 Cups of Tea” takes a story that has been surrounded in controversy for several years and presents audiences with a side they may not have considered before. It is that kind of academic stimulation that Docutah Executive Director Phil Tuckett finds so exciting about bringing the film to Southern Utah and about documentary films in general. Jordan’s film takes a stance, Tuckett said Thursday evening, and then the audience gets to decide what they think and how they feel. “I hope they watch it, and then they can decide if I was right or wrong, good or bad or whatever,” Mortenson said in echo of Tuckett. Docutah’s mission is to bring high-quality documentary films to our community, said Della Lowe, Docutah’s director of marketing and public relations, in order to bring real-life global stories to Southern Utah’s audience. Lowe said she doesn’t expect everyone to agree with the film’s subject matter or the way it was presented, but she hopes that it gets people to listen and to think critically. “3,000 Cups of Tea,” screens Friday at 7 p.m. at the Electric Theater, located at 68 E. Tabernacle in St. George. Tickets are sold out, but Lowe said those wishing to see it can still come and wait to see if someone does not show up. Entry is $10 at the door. Two more Docutah@TheElectric screenings remain. In July Docutah will present a screening of “New York Doll,” and in August Docutah will screen “Atomic Cafe.” The Docutah International Documentary Film Festival will take place Sept. 4-9.